Today, March 2, is Dr. Seuss's birthday. Dr. Seuss was born in 1904 and died in 1991. During his lifetime he wrote and illustrated over 60 children's books. Schools and communities now celebrate reading every March during National Reading Month. Most schools kick off the month with Read Across America Day. My nephews were supposed to have Read Across America Day at school yesterday, but they had a snow day. 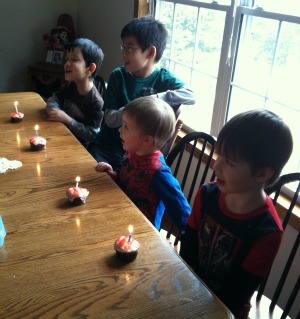 Instead, we all went to Grandma and Grandpa's house and had a Dr. Seuss birthday party. 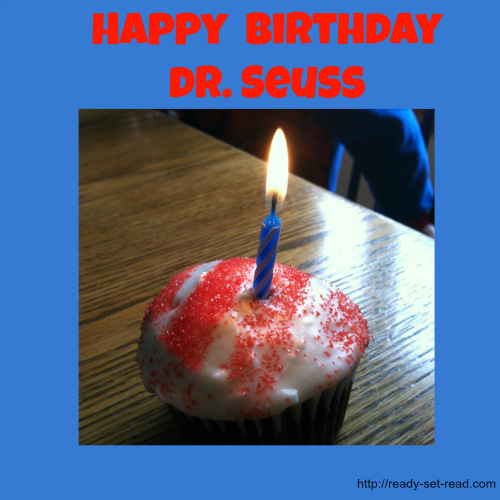 We had cupcakes and sang "Happy Birthday" to Dr. Seuss. 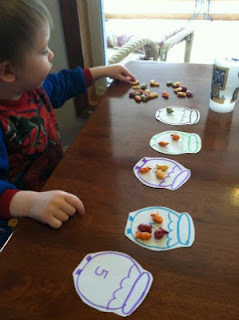 There were party games-- like this goldfish game. One fish, two fish, red fish, blue fish, orange fish, goldfish... 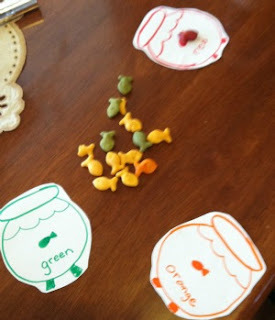 I found this idea from obSEUSSed and made several variations of a goldfish game. I made a counting game, a color match game, and an adding doubles game. The little ones were the only ones who played the games. The older boys decided to watch The Lorax movie to celebrate. Logan (my four year old) was a little confused by that. He kept telling me he loved celebrating the Lorax's birthday! 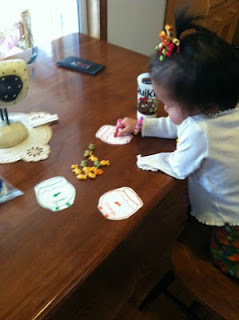 I love that goldfish game! Looks like your snow day was really fun!